If you're like most Americans, you're probably under stress and may even suffer from stress-related illnesses. Stress can damage your liver and other organs. So it's time to take action. And there's growing evidence that a powerful bioflavonoid can help you avoid the damage stress can cause. While this study was mice, these findings apply to us as well. In this study, scientists started by restraining a group of mice. Physical restraint of an animal induces stress. The stress promotes lipid peroxidation in their liver. Lipid peroxidation is biochemical damage to cells. After 18 hours of restraint, the researchers checked their blood levels of alanine aminotransferase (ALT). Higher levels of ALT indicate serious liver damage. All of the mice had ALT levels indicative of liver damage. That's not all. 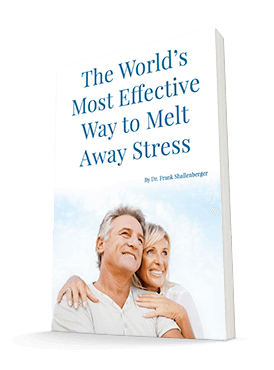 The stress reduced the ability of their blood to neutralize toxic free radicals. Then the researchers fed the animals bilberry extract. The extract had incredible results. It improved their oxidative stress. And they had smaller rises in ALT than those mice that didn't eat bilberry. Moreover, a key chemical marker of damage, malondialdehyde, a byproduct of cellular damage, was significantly lower in the bilberry supplemented groups. Now here's a real pearl. Restraining the animals caused them to have much lower levels of vitamin C (173 mcg per gm) in their tissues compared to non-restrained animals (400 mcg per gm). After they ate the bilberry, their levels rose sharply to 347 and 451 respectively. Bilberry is best known for its protective effects on your eyes. Here we see that it also protects the liver as well. Bioflavonoids are among nature's most versatile molecular protectors. In nature, vitamin C always occurs with bioflavonoids. They work as a team. Here, you see direct proof of that, with bilberry protecting vitamin C blood levels in the animals. Bilberry is rich in one of my favorite foods, the blueberry. They are absolutely delicious. And, blueberries are a fruit that even most diabetics can tolerate well without causing blood sugar problems. During blueberry season, I buy boxes of them. I eat them by the handful. And I freeze dozens of bags, which I'll use throughout the year for my morning fruit smoothie. As I mentioned last week, Costco now carries organic frozen blueberries, so you never have to be without them. Bilberry extracts are available in many vitamin supplements, such as Advanced Vision Formula. For those with macular degeneration concerns, I do recommend supplemental bilberry. But, as you know, for general purposes, I always prefer a whole food to vitamins. Please make blueberries are a staple in your diet. They're delicious and, oh, so nutritious. Ref: J Agric Food Chem. 2008 Sep 10;56(17):7803-7.